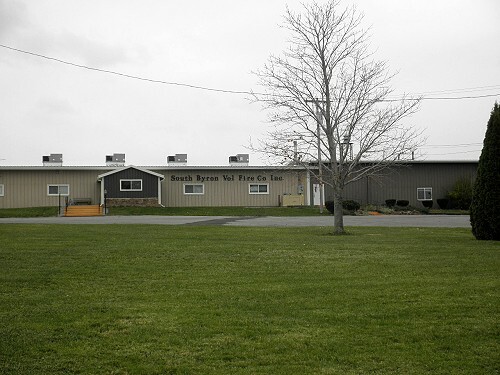 South Byron Volunteer Fire Company Inc.
Our Recreation hall is available for weddings, graduations, auctions and parties. 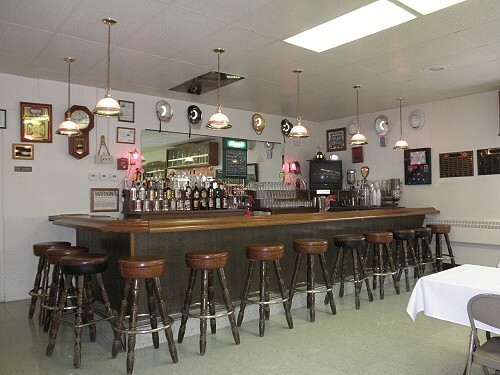 We would love to help you with your event. 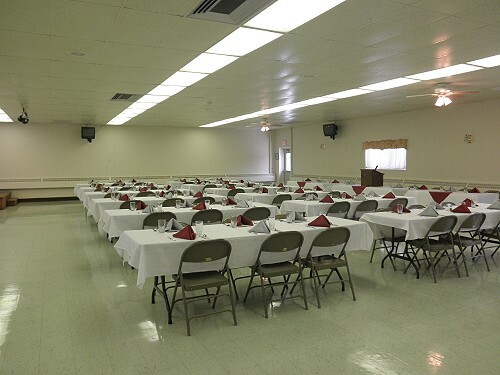 The hall is air conditioned, handicapped accessible and can seat up to 250 people comfortably. 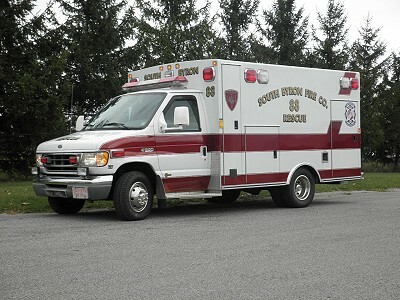 This is a 2000 Ford E 350 with a Braun body donated to us by the Floral Park Fire Dept. in New York. This rig was at ground zero in 2001. It now serves as our support vehicle. On this rig we have 2 Scott SCBA units, extra bottles, Honda 1000kw portable generator, 100 ft chord, 500 watt lights, refrigerator, trash pump, backboard with head blocks and straps, along with assorted hose, couplings and hand lights. The South Byron Volunteer Fire Co. recently put into operation this 2009 Kenworth/ Crimson Pumper/Tanker. The Chassis is a T300 Kenworth with a turbo charged Cummins engine with an Allison 3000Ev 5 speed transmission. It has a 1250 gallon per minute Darley pump with one dedicated 4” discharge, rear suction and rear fill. 2749 gallon plastic tank, 5 man cab with 4 Self Contained Breathing Apparatus seats. 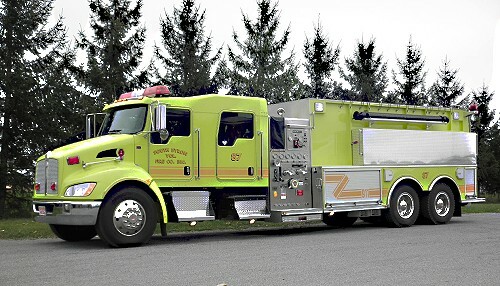 The Body is stainless steel with R-O-M roll-up doors, two preconnects one 1 3/4’ and one 2 1/2”, 1,000 ‘of 4” Stortz Hose, 3,000 gallon Porta Tank. 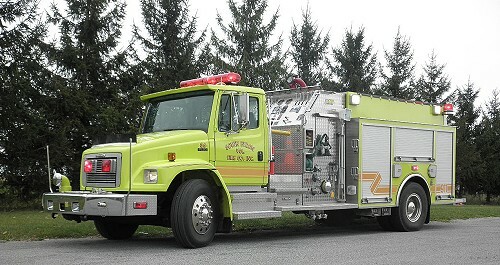 The South Byron Volunteer Fire Company operates this 1998 Freightliner/New Lexington Fire Equipment Pumper/Tanker. The chassis is an FL80 Freightliner with a 300hp engine and 3060P transmission. It has a Waterous 1250 single-stage pump, with a top mounted pump panel, 1000gal custom fiberglass tank, all stainless steel body, Robinson roll-up doors, extended front bumper with a 6" front suction, trash line compartment with a 1.5" discharge, a TFT prepiped deck gun with an 18" TFT extend-a-gun, 5000 watt Honda generator with a 500-watt tri-pod tele-lites, a Foam Pro 2001 foam system and TNT Rescue System Cutters and Spreader. person from the horror of that fate. quickly and effectively to put the fire out. bless with your protecting hand my families precious life. Free Hosting Compliments of Marchese Computer Products, Inc.